Our approach to making products is simple – less is more. The less wood has to be worked the more its natural beauty can be preserved. 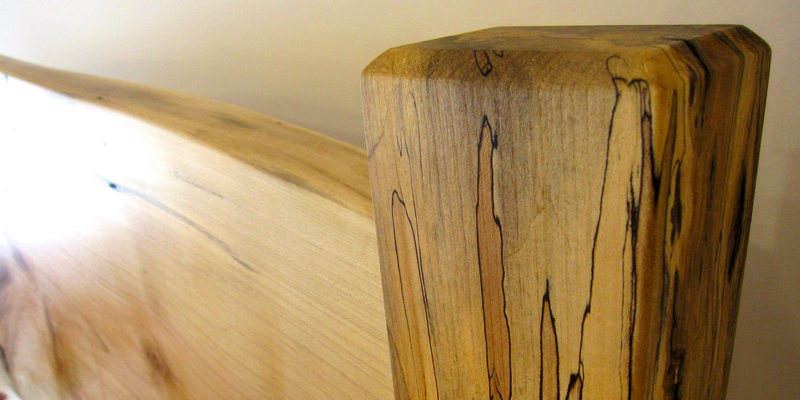 In the tradition of George Nakashima, we are drawn to saving the natural or “live” edge of the trees we mill. This live edge gives our furniture a soft natural flowing quality that is both beautiful and comfortable. We are fortunate to be based in Vermont, which has a tremendous variety of hardwood species. Each has its own wide range of unique and beautiful characteristics, some of which are only to be found in the fully matured trees with which we work. Our process begins with the initial milling of the log. Our sawyers have developed an eye for reading logs before they are placed on the mill, which has a tremendous impact on the shape and character of the lumber produced. Rotating a log just a few degrees on the mill can make quite a difference on the furniture produced. Our craftspeople excel at aligning wood in a manner that is harmonious and insightful. Due to the size of the trees we use, much of our furniture is made from single pieces of wood that are not glued together from many smaller ones. By milling all of our own lumber, we are able to unlock the hidden gifts that these trees have often taken more than a century to grow. The beauty and character of the lumber we use is found only deep within such trees. We consider ourselves extremely fortunate to be able to work this amazing material into furniture that will enrich your family for generations. The qualities inherent in the wood inspire the unique and timeless designs. 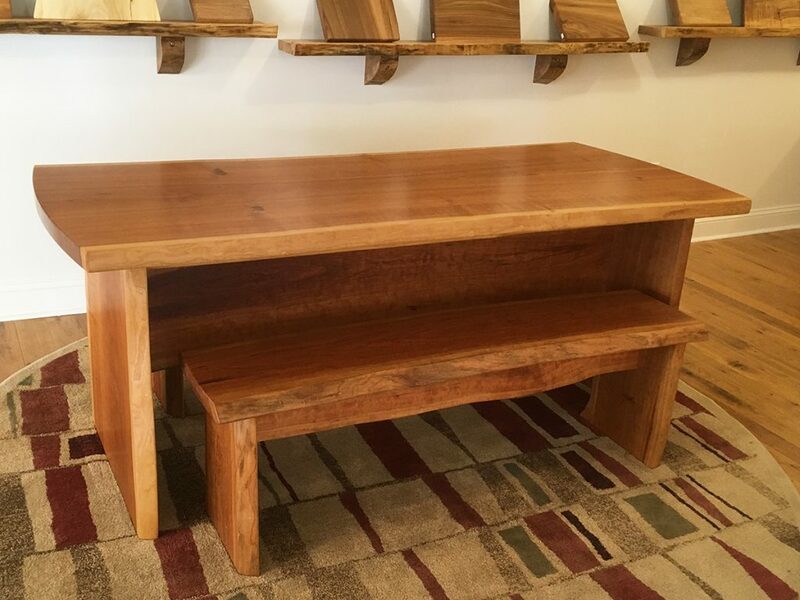 Our artisans use a blend of traditional and contemporary woodworking techniques to produce stunning and solid one-of-a-kind furniture that is second to none. Our furniture is finished with eco-friendly non-toxic natural oil and pure beeswax. Visit our Furniture, Home Goods, or Architectural Materials pages to learn more about our products. Be sure to visit our Showroom to see our furniture in person, or shop online. For additional and purchasing information, please email info@vermonttreegoods.com or call 802-453-4544.